His inauguration is still a week away, but Virginia Governor-elect Terry McAuliffe says he's already fulfilled several campaign promises. He's been burning up the phone since election day and his target is not fellow Democrats, but Republicans in the General Assembly. "I've called every Republican member of the General Assembly. I want to find common ground. Lets get things done," McAuliffe said. "I want to work in a bipartisan way with Democrats and Republicans coming together. I know it sounds great but we are actually doing it." News4's Northern Virginia Bureau Chief Julie Carey's full interview with Governor-elect Terry McAuliffe in the days leading up to his inauguration. To illustrate his point, McAuliffe said he'd just hung up from a call with one of the most conservative lawmakers to try to work together on a piece of workforce training legislation. 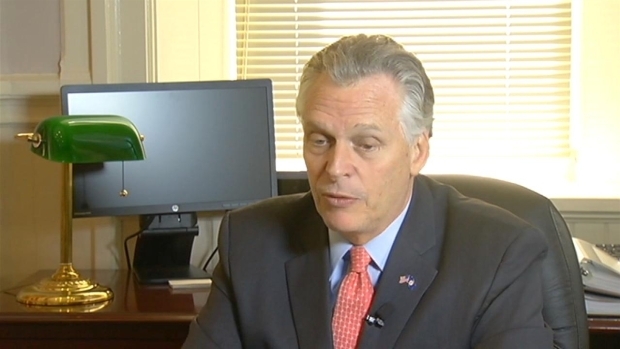 McAuliffe said he has filled another campaign promise by selecting a bipartisan cabinet. He selected the final member of his cabinet Friday -- former Virginia First Lady Anne Holton, Sen. Tim Kaine's wife. Several other cabinet picks are Republicans. When McAuliffe takes the oath as Virginia's 72nd governor on the Capitol steps Jan. 11, it will be his first elected office. He said he doesn't believe the lack of experience in Richmond will hold him back in pursuing his legislative goals. 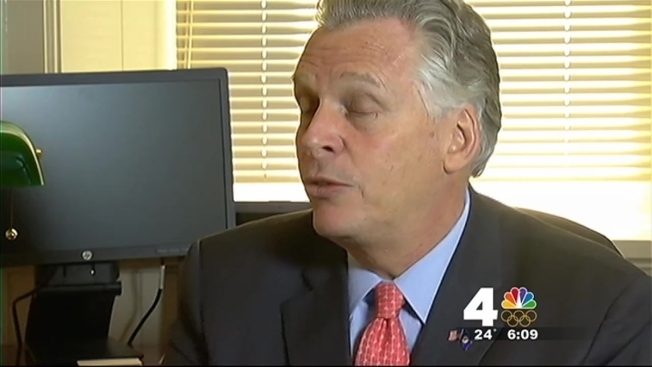 McAuliffe said he will start to tackle ethics reform on day one. "On Inauguration Day, I will sign an executive order for myself,my family and members of my administration to put $100 gift ban into effect," said McAuliffe. "I've talked to [House] Speaker Howell and met with legislators. We will get ethics reform this session." McAuliffe said he also believes he will get standards of learning tests reformed in this upcoming session. He remains optimistic about the campaign promise that poses the greatest challenge -- expanding Medicaid under the Affordable Care Act to provide coverage to more low income Virginians. It's something many Republicans fiercely oppose. "I want to bring common sense, pragmatic solutions to this," said McAuliffe. "Today, if Virginia had accepted the expansion, we would receive $5 million a day. Every day that goes by we are forfeiting $5 million of our taxpayer money which today is going to another state." He said his number one priority is creating jobs and diversifying the economy. He hopes to win the competition for the new FBI headquarters as part of that effort. "Since Election Day, I've been calling all over the nation and all over the globe trying to drum up business," McAuliffe said.